What should be represented in a good inbound marketing proposal? You run a business. You are the Owner, President, CEO or VP Of Marketing. Part of your responsibilities are to oversee the application of a comprehensive inbound marketing strategy. To be clear, in this case, we are not talking about traditional marketing like print advertising, radio, TV, direct mail or trade shows. We are only discussing inbound marketing and what you should be looking for in an inbound marketing proposal. When we think about this process in the most simple form, we are looking at an inbound marketing proposal that represents marketing services (usually on a retainer) for a price. Your job is to review various inbound marketing proposals to get a clear understanding of what you can expect in the form of deliverables as well as the related results. As easy as I make this sound, it certainly is not. Especially if you have limited experience with all of the components that belong in a well written inbound marketing proposal. Lets first list the various elements of a complete inbound marketing plan. Once you understand some terminology and a little about the related functionality, you will be in a better position to evaluate the contents of many different inbound marketing proposals. Before you read and absorb the list of inbound marketing deliverables below, keep in mind that we are not addressing anything related to design. Web design is another discussion and although there is a link between design and marketing, there is also a very big difference between these two elements. In fact, I teach my clients to follow this rule. Spend 15% of your time, money & effort on website design but 85% of your time money and effort on all things marketing. The design can be very simple or very complex but if your marketing is unsuccessful, nothing else matters. On-Page SEO - These are the components that must be present on every web page that tells all the major search engines the subject matter of that page. Off-Page SEO - These are search engine optimization elements that are achieved independently of the web page itself. For example, getting listed in various directories and securing links into your website from other websites. Keyword Analysis - Any inbound marketing proposal needs to have a strategy that addresses defining and isolating the keywords that will have the most impact on the inbound marketing project. Blog Optimization - Creating compelling content on your blog is important but you must also be sure to have each blog optimized in terms of content, images, links, meta tags, length and more. Smart Lists - A complete inbound marketing proposal should include a method that separates the types of visitors you attract into smart lists that contain filters. This allows you to nurture all leads on a personal level. Workflows - This is a system that is designed to recognize and follow each visitor and lead through a series of stages within your sales funnel. Lead Nurturing - This is a system that will comprehensively nurture each and every lead you secure. Email Marketing - Email marketing is an important element of any inbound marketing proposal and should be spelled out within the proposal. Social Media - Every inbound marketing proposal should have a strategy to take advantage of aggressive social media promotion. Analytics - This is the method used to measure each and every element in the inbound marketing strategy. Reporting - Regular reporting to you, the client on all of the components above. The above information was created to help all business owners, marketing managers and others that need to secure an inbound marketing proposal either as a start or a change to their current inbound marketing activities. 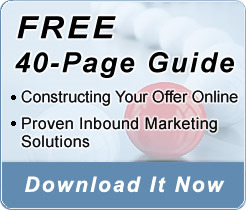 Reviewing and analyzing an inbound marketing proposal can be tricky and confusing. Hopefully, this blog post will help you sort through all the critical information involved. We also offer you other step by step inbound marketing guides that will help you understand many of the elements listed above in much greater detail. Just visit our free eBook page and download any of our eBooks and guides that will help you understand more about specific topics.